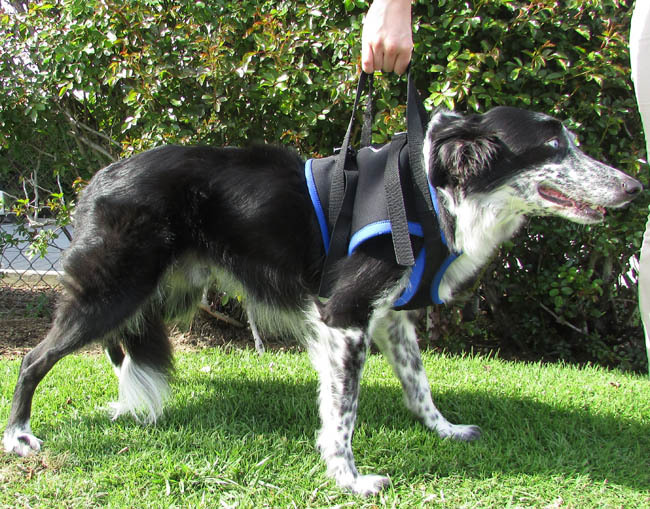 CARE offers a variety of devices to improve functioning, relieve discomfort, and aid mobility – empowering owners to guarantee the best possible quality of life for both their pets and themselves. 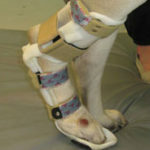 Custom and prefabricated devices are available to address the full scope of diagnoses and concerns. 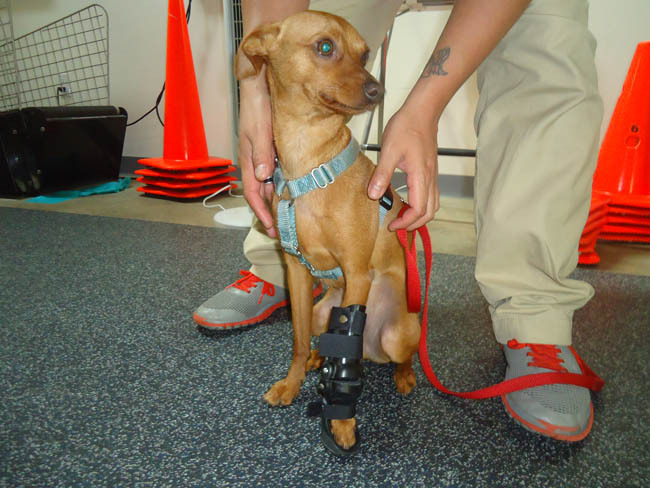 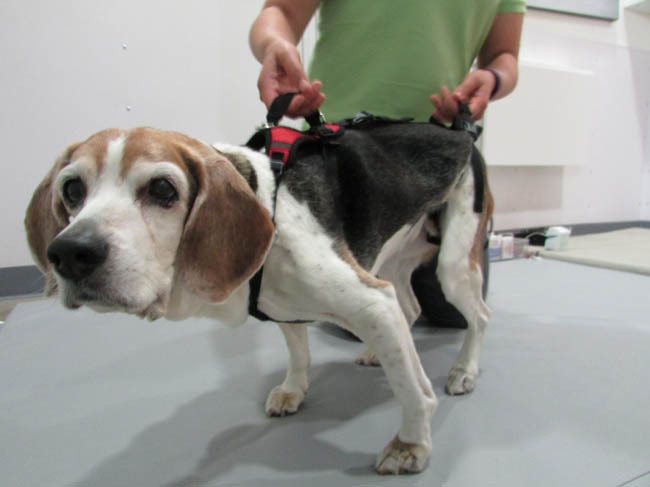 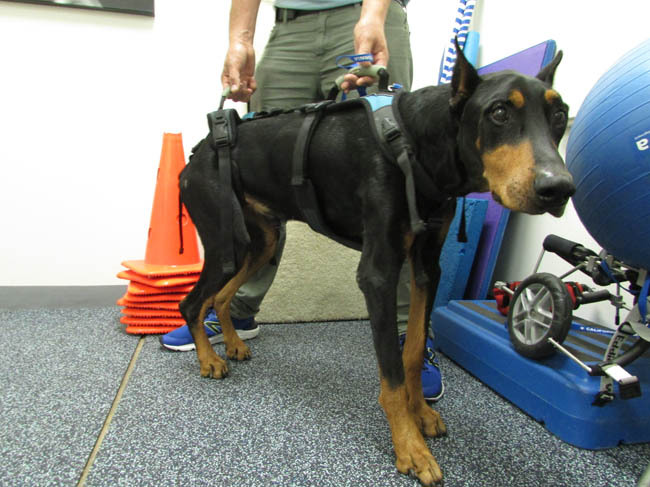 Assistive device fittings are directed by one of CARE’s Doctors of Physical Therapy or one of our veterinarians, all certified in canine rehabilitation. 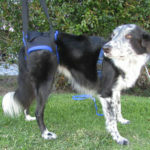 When stability begins to decline, slings and harnesses present a simple and instant solution to aid in completion of everyday tasks. 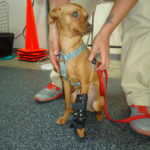 These handy tools allow the owner to easily assist their pet in and out of cars, up and down stairs, and in a variety of other previously awkward situations. 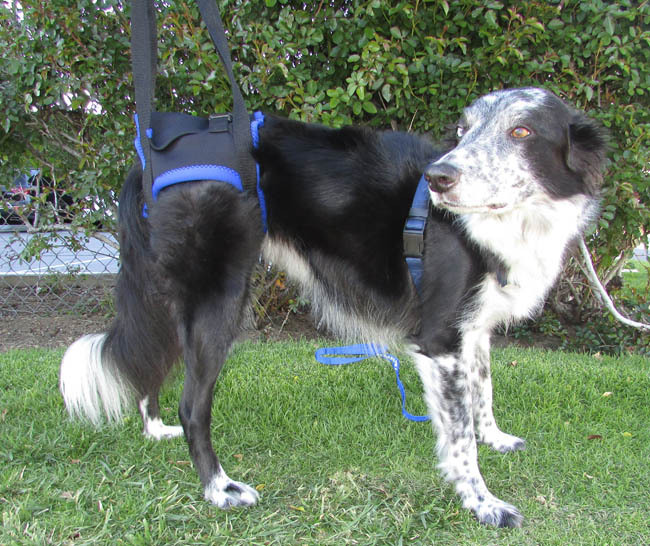 These assistive devices additionally facilitate proper completion of home exercises. 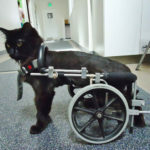 Our experienced technicians are always ready to fit these apparatuses. 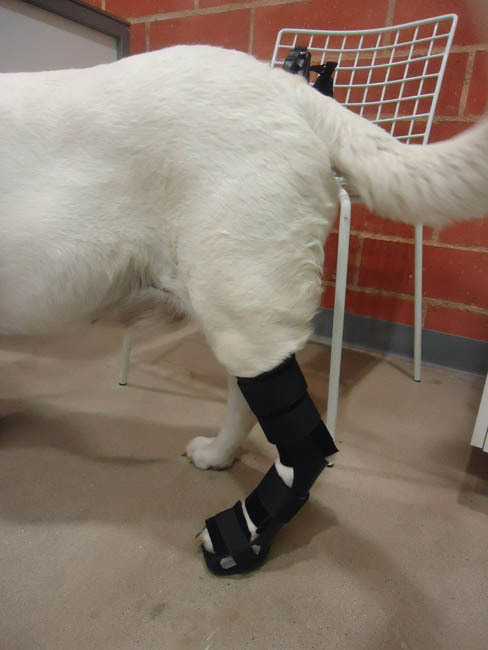 In some cases, a brace is necessary to bolster a problematic joint, tendon, ligament or limb, promoting optimum long-term functioning. 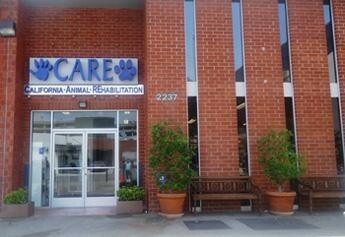 CARE has many ready-made braces that can be taken home the same day. 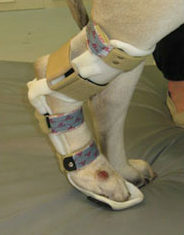 For more intricate cases, CARE works with a renowned orthotic crafter to customize a brace. 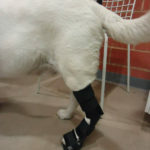 When general stability is needed and the injury is too severe for muscles to repair, a splint provides an effective solution. 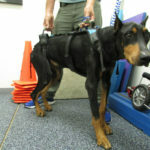 “Knuckling,” or an inability to keep the paw in proper flexion, is a common functional problem in canines, especially with age or trauma. 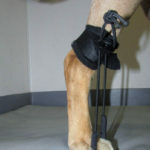 Toe-Up slings correct this irregular movement, placing the paw in a more supportive and natural position. 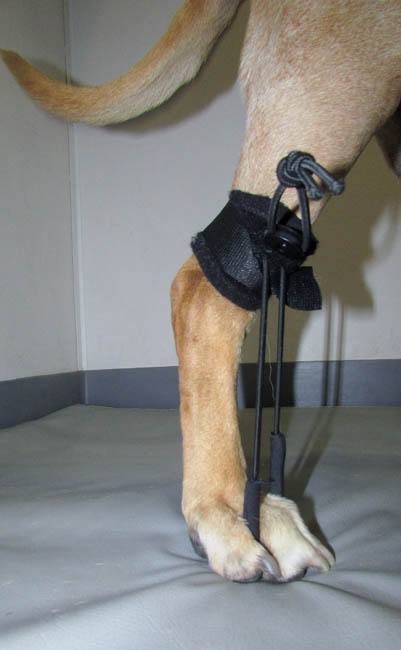 This helps to avoid collateral problems and to prevent scuffing or abrading of the paw. 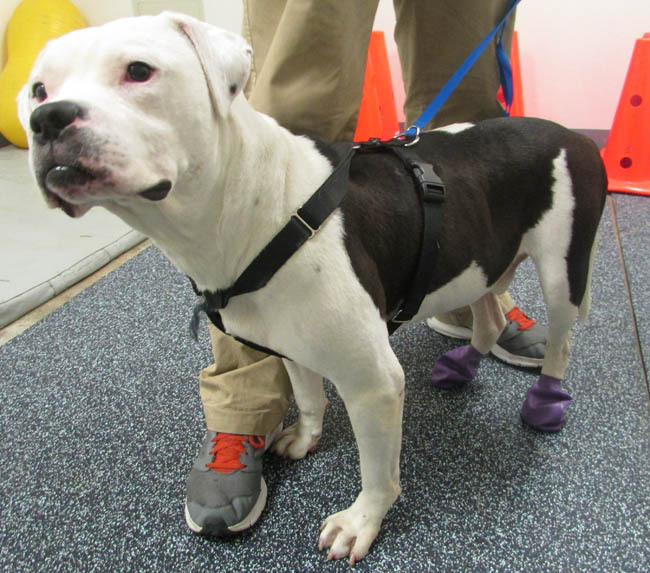 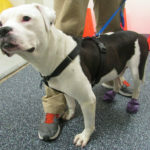 Durable, purpose-designed booties add an extra measure of protection to prevent trauma to dragging paws. 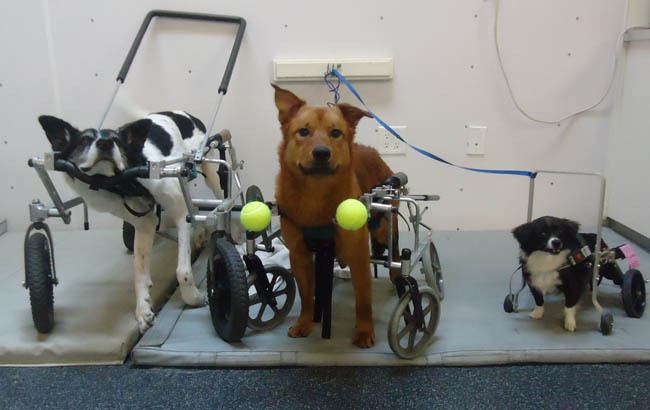 In conjunction with the premier canine wheelchair fabricator in the country, one of CARE’s experienced staff will perform a detailed fitting for the creation of a custom cart. 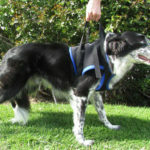 This is an invaluable option when consistent support is needed for mobility. 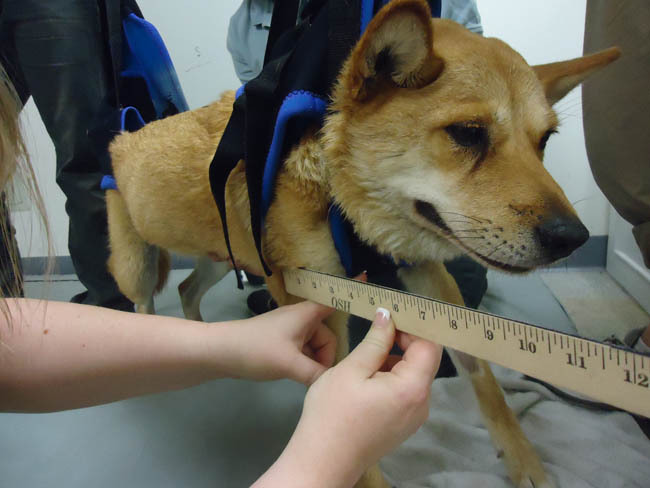 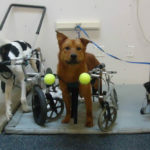 A thorough evaluation is performed beforehand by one of CARE’s canine rehabilitation-certified veterinarians in order to ensure the suitability of choosing a cart. 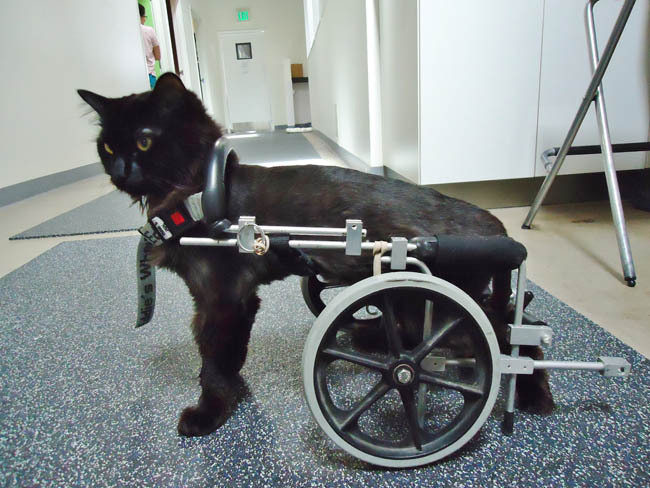 Carts can add more happy years to your pet’s life.